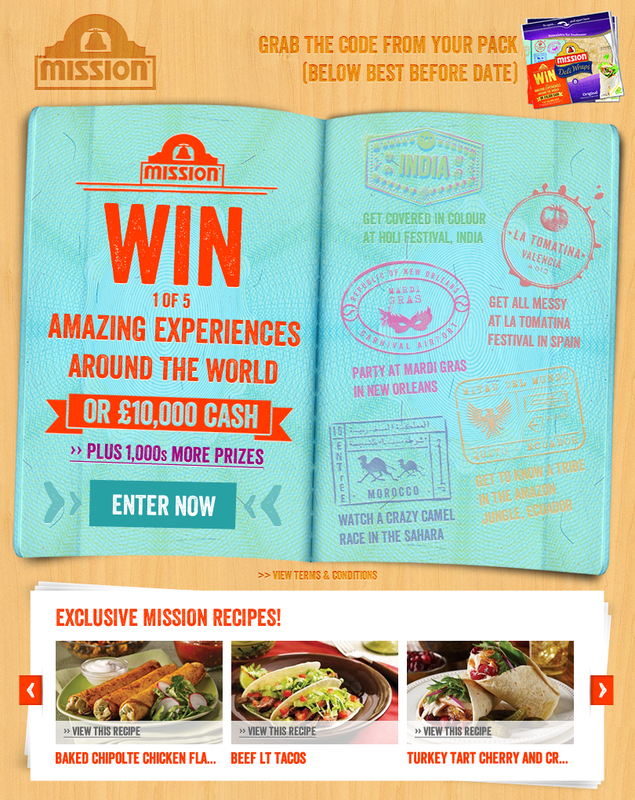 Facebook tab design for Mission Wraps “lunchtime less ordinary” competition. They wanted to run a video-based competition, where users could connect with Facebook and then enter a code from a packet of Mission Wraps and be in with the chance of winning a Holiday. Basic styles and assets already existed, and I had to build ontop of that, simplify the user experience and try to make it look exciting and travel orientated! I really like the way that this one turned out as I think it achieved everything that the client was looking to achieve, as well as being visually appealing.